This is half of our classroom library. There are two more shelves not in the picture. And this was also at the beginning of the year, so not everything looks so perfectly organized still. My co-teacher and I are both book lovers. We both started the year (our first year together) with books of our own. Then, the school budgeted money for each classroom to build our libraries, so we got more. And every time we go to the book store, look at scholastic online, or get a flyer for cheap books – more books are added. We have built an impressive library with books ranging from guided reading level A to Z (what you see here). The other two shelves that are not in the picture are organized by genre – picture books, informational, animals, graphic novels, fantasy, realistic fiction, folklore, etc. After much consideration, we decided to organize the books by levels and genre. Our students just didn’t come in with enough experience in picking “just right” books to set them free without any type leveling in our library. Having both structures in our library allows the students and teachers to find an appropriate range of books easily, but then still have a more authentic book choosing option with genres. Our library currently contains 1,364 books. We use the website classroom.booksource.com to track all of our books. It took a lot of time at the beginning of the year to enter all of the books into the site, but it is worth it. We have an app on our phones that allows us to just scan books in to the library or look up if and where we have books. The students also use this site to check-out and return the books as they borrow them. We love books and put a lot of time and money into our classroom library. It seems completely worth it because our students LOVE books. They even sniff the new books because they smell so good! Our kids have made huge growth in reading so far this year and I think our library is an important part of that growth – there is always something interesting to read in 3SB! I am so envious of your classroom library and its organization! When I taught Grade 4 in the US, I had about 1000 books in my library, but at that time we used an old fashioned library checkout sheet. When I made the move to teaching in China, I realized how hard it was to part with that library that I’d built. In the end, I decided to take about half, just under 500 books, of my collection. Choosing which books to take was tough. Sometimes I look for a particular book, only to realize I left it behind. Since then, my library has been added to. I don’t know that I can ever leave, because that will mean parting with a lot of my books here. Shipping costs are just too expensive! omg, that is the neatest, coolest classroom library i’ve ever seen! i am mega, mega jealous!! Those book bins are fabulous! I’m completely posting this on to Pinterest. If I head back to the classroom in a few years (I consult now.) 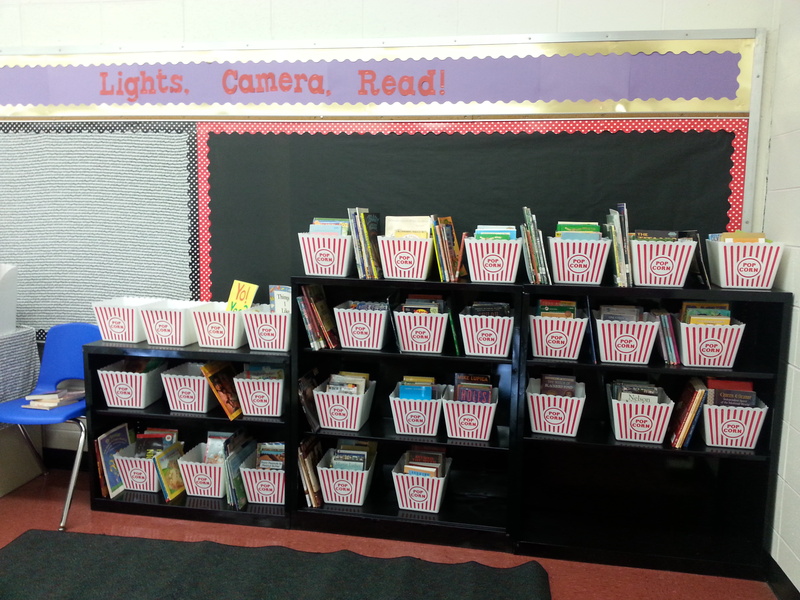 I want my classroom library to look like yours! I got the bins at the Dollar Tree. Previous Previous post: Twitter or Tweeter?